Kids Help Phone is on a transformational journey, one that will see us change the landscape of youth mental health in the coming years. We cannot do it alone. We need team members that are passionate about making a real difference in young people's lives. It will take courage. It will take all of us. Sounds like a journey you want to be a part of? Join us! Kids Help Phone is piloting a new 24/7 service providing support to youth through texting. The Supervisor, Texting at Kids Help Phone will recruit, train and provide real-time supervision of remotely located volunteer responders. A key outcome of the role is to ensure that youth receive high quality support in a timely way and that all Key Performance Indicators (KPI) for texting services are met or exceeded. Candidates should expect to build community with volunteer responders within an online platform. This work involves a high volume of contacts and priorities that can change very quickly. This is a new service for Kids Help Phone and unique in Canada. Incumbents will be able to provide feedback into the development of this new service. Additionally, there will be some opportunities to promote this new service through public presentations or attending events. Some travel will be required for training. Stable telephone and internet access. Work space that supports confidentiality and minimizes distractions. 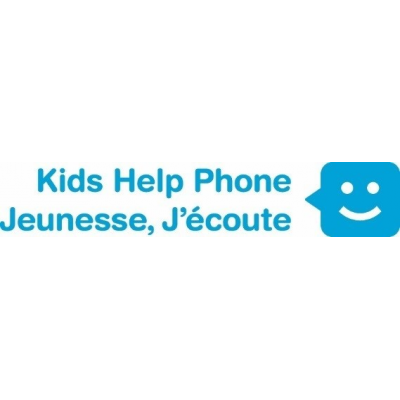 Kids Help Phone is a Canadian and world leader, known for our expertise and continuous innovation as Canada's only 24/7, bilingual (English and French) professional counselling, information and volunteer support service for young people. Since 1989, we have offered kids, teens, and young adults a critical lifeline of hope and support through our free, anonymous service, which research shows significantly improves youth mental health. Young people reach out to Kids Help Phone from every corner of the country via phone, Live Chat, our internationally-recognized website, and through our confidential volunteer-led texting service (available nationwide by the end of 2018) in addition to having access to our database of local youth-serving programs. Kids Help Phone is a registered Canadian charity, and we raise the majority of our revenue from individuals, foundations, corporations, and community fundraising. Thanks to our generous donors, we can work to achieve our vision of a future where every young person in Canada will access the support they need, in the way they need it most. This posting will remain open until April 28, 2019 with immediate interviews for qualified applicants. Accredited member, Imagine Canada Standards Program. Scent free environment. Kids Help Phone is committed to an inclusive, equitable and accessible workplace. We welcome applications from visible minority group members, women, Indigenous persons, persons with disabilities, members of sexual minority groups, and others who respect and reflect the diversity of service users.